When Bonnie is faced with her secret lover, dead on the floor of his apartment, her first panicky thought is to cover it up - hide the body, straighten the scene, remove every trace of her presence. But as any thriller fan knows, the truth will out. 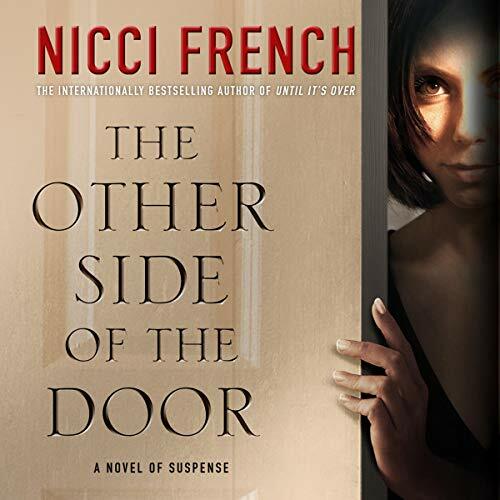 In this 12th novel, best seller Nicci French (the husband-wife team of Sean French and Nicci Gerard) plays an unforgettable game of cat and mouse with the listener, telling an intricate story with letter-perfect timing and French's trademark deeply drawn characterizations. ©2010 Nicci French (P)2010 Brilliance Audio, Inc. Characters were not likeable, even though (trying to) addressing domestic abuse. Not believable that Bonnie or anyone would become that concerned or enraged or passionate about a person they’ve only known a few weeks, nor would any of them risk their freedom covering up the murder for “friends” they haven’t known that long or aren’t committed to. AND as a major annoyance throughout this, what is Guy’s son’s name??? “Jo-a-kin”??? Do you mean “Joaquin”? If so, it’s pronounced “Wa-keen”. Think Joaquin Phoenix, Joaquin Ochoa, Joaquin Correa. Finished the book and instantly forgot all about it. A few days went by before I realized that I completely forgot to write up a review! I think that speaks for itself – enough said. No, and really, I just could not get past the 'JO-ah-kim' thing, so I was distracted. Also, for the first chapter or so, the narrator thought she was presenting a Shakespearean tragedy. There is not one likable character here for me; I just couldn't make myself care. I will give the Nicci French duo one more try; I first listened to The Memory Game, which I found engaging and intriguing- enough so that, when it was done, I immediately went back in to the NF listings and chose the opener for the 'days of the week' series, Blue Monday. Well,.. [spoiler alert]..and evil twin!?! Serious? Some really obnoxious voice characterizations, also. So, I jumped out of the series and tried this one- which I cannot continue, for reasons given. Not hopeful. What disappointed you about The Other Side of the Door? Awful - only surprise is that I finished listening! What could Nicci French have done to make this a more enjoyable book for you? Not great on characters, enunciation sometimes too rapid. She really was not the problem. The plotless pointless aimless endless book was! Wonder if I can still receive an Audible credit? My GOD Anne Flosnik's performance is HORRIBLE!! I couldn't even continue with the book because Anne Flosnik's performance was so over the top - wow! I have listened to a lot of books but this is one of the very few that I stopped and decided just to buy the book and read it on my own. URGH!! I'd like to listen to another Nicci French or Jussi Adler-Olsen. Different reader. Good reading is good acting. Ms. Flosnik seemed to be channeling Norma Desmond! What character would you cut from The Other Side of the Door?